Overhaul of Caravans and Merchants - outfitting, appearance, and merchant lists. Integrating DLCs with Commonwealth. Mod Authors may FREELY re-use assets from this mod in other mods. Please link to this mod in your mod and also post info in a Comment in this mod. 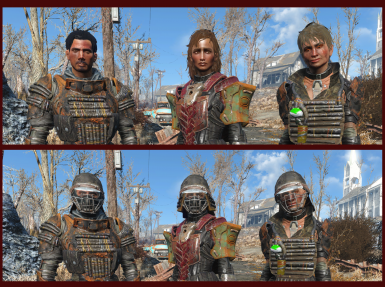 This mod uses mash-ups created using Outfit Studio and Bodyslide with CBBE bodies (female) and SHB bodies (male). Textures are from Vanilla & DLCs. Face changes were created with the help of Face Ripper. Coding of plugin done with FO4Edit & CK. There are too many authors that have given me pointers, help, feedback, and encouragement to easily keep track and list them here. They know who they are. -- Fixed Butch's (Carla's male guard) voice. 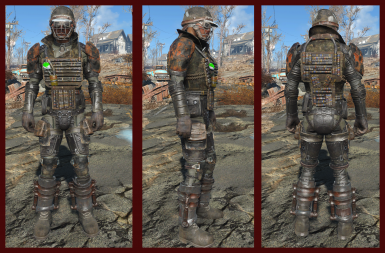 -- Added Male version of Trashcan Carla's armor set. 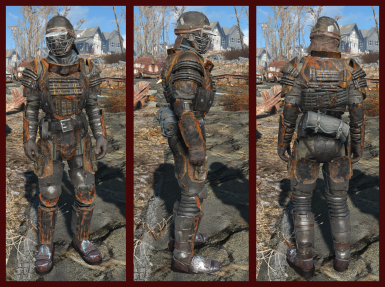 -- Added Male version of Carla's Female Guard armor set. 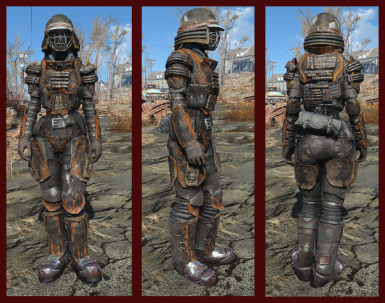 -- Added Female version of Carla's Male Guard armor set. Please read Changes Tab for change log. Thanks! 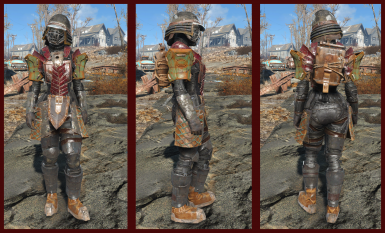 -- The three Trashcan Carla armor sets have matching stats. -- Approximately the equivalent of the "best of" Heavy Polished Metal & Heavy Studded Leather. The color change has been separated from the stat change mods. Each of the pieces has two Linings instead of one. 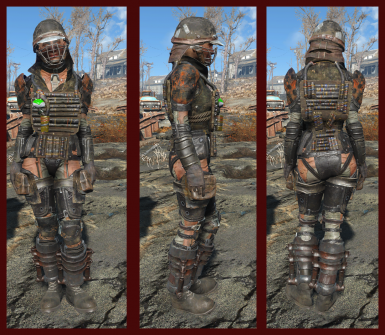 -- The leg armor pieces also have a lower powered version of Acrobatic / Freefall. Each leg lowers fall damage by 25% (vs 50% each for Freefall or Acrobatic). -- Helmets have a Light, Sturdy, and Heavy version. 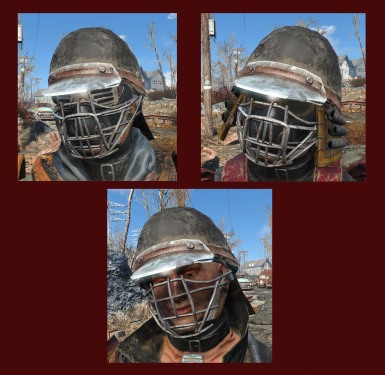 The light version is an enhanced version of Polished Metal Helmet with Sturdy and Heavy having better stats (Damage Resist, Energy Resist, and Radiation Resist). -- Underarmor is an enhanced blend of BoS Underarmor, Vault Suit, and FH Marine Combat Underarmor. 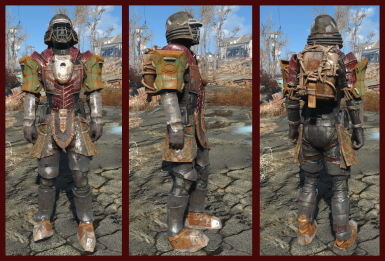 This mod requires all of the major story DLCs (Automatron, Far Harbor, and Nuka World). There will NOT be a version without the DLCs. One of the goals of this mod is to integrate the DLCs into the game more fully.